Well… it turns out that there are plenty of resources related to financial risk and other more traditional topics of governance. However, there is actually very little detailed, practical and actionable information regarding cyber security governance â€“ at least nothing that goes beyond some basic high-level questions or, at the other end of the spectrum, highly complex technical or legal questions. Some time last year, I clicked open an Evernote note and started to curate some of the best ideas I had found on the web. I added in thoughts from relevant documents and books I have read. Then I mined through years of conference and meeting notes. What began to take shape was a reference tool of about 20-30 excellent probing questions that I could immediately use at Board and Committee meetings. Next, I started to add my own thoughts and questions to the list. Now it has grown to over 100 questions, which I have grouped into subcategories of my own devising so I can find what I am looking for. At this point I have decided to publish my draft list titled, â€œ100+ Practical Cyber Security Governance Questions Board Members Can Askâ€, with the hope that others will comment, contribute, identify errors or omissions and generally help me build a more complete and comprehensive resource. I am optimistic that it can become a useful tool for other Board members who, in turn, can use it to benefit their own organizations. Please feel free to comment below and/or send me a personal message with your thoughts, suggestions, additions, edits or corrections! 1. As a Board, are we demonstrating the appropriate level of due diligence, ownership, and effective management of cyber security risk that we owe to our organization as governors? 2. To what degree has our Board discussed cyber security risk management and threats to our organization over the past year? 3. To what degree has our level of concern about cyber security risk increased/decreased over the past year? 4. Is our prioritization and level of engagement on the topic of cyber security consistent with our perceived level of overall risk to the organization? 5. Does our Board need to play a more active role in determining our organizationâ€™s cyber security strategy? If so, in what way? 6. What aspects of cyber security governance, strategy and risk management should be dealt with by the Board, and what aspects should be delegated to committees of the Board? 7. What metrics and other means of reporting do we require from management and how frequently are we reviewing this information? Is the degree of reporting and frequency aligned with our overall prioritization of cyber security risk management? To what degree do we feel the information provided is accurate and trustworthy? 8. 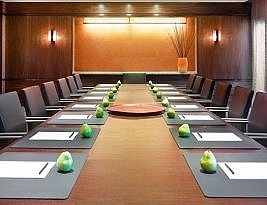 Do we have sufficient cyber security expertise represented at the boardroom table? Is cyber security expertise adequately represented in our board member skills matrix requirements? 9. Do we understand and can we differentiate between our cyber security needs as an organization and our compliance requirements to external governing bodies? 10. Have any of our board members attended formal governance training specific to cyber security risk management? Should this be a requirement/option for some or all board members? 11. Have any of our board members attended formal personal digital security training? Should this be a requirement/option for some or all board members? 12. Are the methods we use to distribute sensitive and confidential materials to board members aligned with our organizationâ€™s overall cyber security policies and procedures? Examples: risk associated with a board memberâ€™s use of personal email accounts to receive confidential documents? Or encryption, storage and archiving of files and documents on personal devices? 13. Do we fully comprehend that board members are likely to be high-priority targets of cyber attackers and why? 14. Do we have a full and accurate understanding of the impact on our organizationâ€™s reputation or very existence if key sensitive information held by the organization is accessed or stolen, or if critical systems are compromised? 15. In managementâ€™s opinion, what is our overall cyber security maturity level as an organization? How do we compare to organizations similar in size and complexity in our industry? 16. How is accountability determined for managing cyber risks across our organization? Does this include managementâ€™s accountability for business decisions that may introduce new cyber security risks? 17. What are the most critical cyber security risks to our organization as identified by management? 18. How many attacks does our organization experience each day/week/month and how many of these are successfully blocked? 19. Has the Board been informed of any or all cyber attacks or breaches that have already occurred (successful or otherwise), how severe they were and the resulting impact to the organization? 20. What do we consider our most valuable and essential physical assets? How do our information technology systems interact with these assets? Examples: heating and cooling systems, manufacturing or medical equipment? 21. What do we consider our most valuable and essential digital assets? Examples: our network, databases, applications, email and other communication systems. 22. Do we have a digital asset inventory or â€œbalance sheetâ€ that catalogues and prioritizes the value, operational significance and interdependencies of all of our digital assets? 23. Are we investing appropriately in protecting our network, computing devices, Internet-connected devices and data relevant to their value and criticality to the operation of our organization? How do we evaluate and measure the results of our decisions? 24. Do we consider cyber security a part of our overall strategic and operational business decisions? Examples: procurement, supplier contracts, mergers and partnerships, third-party access to systems and insider risk? 25. Do we have the right people with the right skills and experience in place to implement, manage and operate our cyber security programs now and into the future? What, if any, are the gaps and what is managementâ€™s plan to address them? 26. Do we have the right reporting structure in place to ensure there are no conflicts of interest that may be detrimental to the organization? For example, should the Chief Information Security Officer report to the Chief Information Officer, the Chief Financial Officer or the Chief Executive Officer? What are the risks, challenges and benefits associated with our current reporting structure? 27. Is our organization adequately adhering to current cyber security related legislation and compliance requirements? Are we monitoring potential imminent legislation and preparing proactively for future requirements? 28. What is the liability exposure to our Directors related to cyber security risk? 29. Are we dependent on specific vendors for our overall cyber security posture? How confident are we that we have the right vendor partnerships in place to meet our needs? Do we know the technology road maps for our most strategic cyber security vendors and do they align with our projected future needs? 30. Does our organization have adequate insurance that covers cyber incidents; do we know what exactly is covered and to what extent? Is our insurance coverage aligned with our overall cyber security risk management strategy and appetite for organizational risk? 31. Is our cyber security insurance provider responsible (or willing to be responsible) for incident management until a situation is resolved? 32. Has our cyber security insurer provided a list of approved vendors who will directly manage and resolve cyber incidents should they occur? 33. Have the vendors that we currently engage with or have contracted to resolve cyber incidents been approved by our insurer? Will our insurer pay for these services if they are ever required, and are there any approvals or documents required in advance? 34. How will we know if we have been hacked or breached, and what makes us certain we are capable of identifying such an event should it occur? 35. What are our most critical vulnerabilities related to cyber security and how could they be exploited by either external or internal threats? 36. Which threat actors are most likely to attack our organization and for what purposes? 37. If a hacker wanted to do the most damage (financially, reputational, etc.) to our organization, how would they likely go about doing it? 38. How does our organization go about identifying, classifying and prioritizing cyber security risks, and how is our organization managing these risks? 39. How is our organization managing cyber security risk in relation to all other enterprise-wide risk? To what degree is cyber security risk integrated into an overall approach to risk management? 40. To what degree has our organization assessed insider threats, both intentional and unintentional? 41. When was the last time we conducted an independent external assessment of our cyber security defenses, policies and procedures? 42. When was the last time we conducted an active cyber security penetration test? What were the results? How was the information provided used to improve our organizationâ€™s overall security posture? 43. Have our auditors identified any cyber security related deficiencies in regard to our organizationâ€™s internal controls over financial reporting? If so, what are they and how are they being addressed? 44. Do we keep secure off-site backups of critical data? How current are these off-site backups? 45. On what points do management and our information technology/security teams disagree about overall cyber security strategy, policies or posture? 46. What are the leading industry practices for cyber security risk management? 47. What frameworks or methodologies has our organization adopted to manage enterprise-wide risk and to what degree? 48. Have we implemented a systematic cyber security framework, such as the NIST Cybersecurity Framework? 49. Have we conducted a full cyber security risk assessment of our organization? How often is this process completed? Has the methodology, process and results of the assessment been reviewed and vetted by external experts and to what degree? What steps have been taken by management to improve our overall cyber security posture as a result of the most recent risk-assessment process? 50. Do we have an enterprise-wide, independently budgeted cyber security risk management team? Is the budget adequate to meet the objectives set by management and the Board? How is it integrated within our organizationâ€™s overall enterprise risk-management process? 51. Do we have appropriate risk management strategies in place for both general organization-wide cyber security, as well as more advanced strategies for protecting our most critical physical and digital assets? What are these strategies and how do they differ? 52. Do our organizationâ€™s outsourced providers, contractors and other third-party providers have adequate cyber security controls and policies in place? How are these controls monitored? Do their policies align with our organizationâ€™s expectations and to what degree are any deficiencies putting us at risk? 53. Do we have an ongoing, organization-wide security awareness training program? How is this implemented and by whom? How effective is the program and how is this measured? How are we ensuring that the training is current and relevant to employees and our organizationâ€™s current and future needs? 54. What are the industry-leading practices for managing insider threats? To what degree have we adopted these practices and, in managementâ€™s opinion, how effective are they? What are the gaps, if any, and what is management doing to address them? 55. How do key functions (Information Technology, Human Resources, Legal, and Compliance) work together to create a culture of cyber security awareness and personal responsibility for cyber security? 56. Does the organization have written policies that cover appropriate employee use and access to data, applications and devices? How effective are these policies and what is our current overall level of compliance? How are employees informed and trained regarding the details of these policies? How are these policies enforced? 57. Do we encourage a safe environment for employees to report cyber security incidents, even if they are self-reporting accidental or unintentional incidents? 58. Do we conduct regular training for our employees on how to implement our organizationâ€™s cyber security policies, as well as how to recognize, identify and report potential threats and vulnerabilities to management? 59. Have we adapted and updated our Human Resources policies, such as background checks, new-employee orientation, training, employee exit interviews, etc., to incorporate our cyber security programs and policies? 60. How do our information technology operational controls, including individual access restrictions, encryption, data backups, monitoring and inspection of network traffic, etc., help to protect against insider threats? 61. Do we have an insider-incident activity plan that spells out how and when to contact our legal department, law enforcement and/or other authorities, and whether to explore legal remedies? 62. Do we have a policy on how to deal with situations related to extortion and cybercriminal activity, such as Ransomware, that have a material impact on our ability to continue the regular operations of the organization? Has this policy or topic been reviewed or investigated by our legal department and are our policies fully compliant with all laws and legislation to which we are subject? 63. Do we have in place an acceptable-use policy that details what employees may and may not do with the work-related devices they use, including such aspects as acceptable use of the Internet and web browsing, email and the installation of non-approved software and applications? 64. Do we have policies in place related to remote work and travel that detail where and how employees should use work-related devices, and how employees should connect to our organizationâ€™s network? Examples: use of unsecured public WiFi, use of a VPN to connect from any remote location, permission to take devices home and to travel outside of the country where laws regarding communication protocols and encryption may differ from the jurisdiction of their regular workplace. 65. Do we have policies in place related to employee use of personal devices for work-related activities, commonly known as Bring Your Own Device (BYOD)? How does employee use of personal devices impact our organizationâ€™s overall cyber security posture? 66. Do we have policies in place related to the management and acceptable use of social media accounts operated on behalf of the organization? 67. What do we, as an organization, believe constitutes a â€œmaterial cyber security incident or breachâ€? 68. Does our organization have a cyber security incident response plan? What was the process involved in developing this plan? What cross-organizational departments and stakeholders assisted in the development of the plan? 69. What actions, events or circumstances will result in activation of our incident-response plan? 70. To what degree can we rapidly contain damages and mobilize response resources when a cyber incident occurs? How are we certain of this and what are we doing to continuously improve our ability to respond? 71. To what degree has our plan been vetted by external experts, tested and exercised? How often does this occur? 72. For significant cyber attacks or breaches, what is our public relations and communications plan? 73. Under what circumstances will law enforcement or other government agencies be notified of a cyber attack or breach? 74. How does our incident response team work with the organizationâ€™s broader enterprise risk function? 75. How is our cyber security incident response plan integrated with other plans related to disaster recovery and business continuity? 76. Do we encourage our technical staff to enter into information-sharing exchanges and educational activities with other organizations in our industry in order to benchmark, learn from others and help identify emerging threats? 77. Should a cyber incident occur, in addition to external legal counsel, do we have relationships established with independent security experts and forensic investigators, crisis communications advisors and law enforcement? Who is responsible for establishing and maintaining these relationships? 78. What non-disclosure or other legal agreements do we have (or need to have) in place in order to immediately leverage third-party assistance should a cyber incident occur? 79. Do we have protocols and policies in place related to when and how to engage third-party assistance as part of our overall incident response plan? 80. Do our vendor agreements create new legal risks or additional compliance requirements related to cyber security? 81. How do we balance the financial opportunities (lower costs, improvements to efficiency, etc.) created by greater supply chain flexibility with potentially higher cyber risks? 82. How much visibility do we currently have across our supply chain regarding cyber security risk exposure? What controls, if any, do we have in place to monitor and mitigate these risks? 83. How is compliance with our organizationâ€™s cyber security policies and requirements built into contracts and service-level agreements with our suppliers? How are they enforced? 84. Do employees of our suppliers have direct access to any of our systems? How is their access monitored and controlled? Examples: remote updates to information technology equipment, access to HVAC systems for maintenance monitoring, and direct access to our ERP or procurement systems. 85. What do we require of our supply chain and other third parties regarding notification of data breaches to their systems or other related cyber incidents that could have a material impact on our organization? 86. Are we indemnified against cyber security incidents on the part of our suppliers/vendors? 87. Do we indemnify our suppliers/vendors against cyber security incidents? 88. What are our supplierâ€™s responsibilities during a cyber attack? How are these responsibilities outlined in our incident response plans? Have these responsibilities been adequately communicated and acknowledged by our supply chain partners? 89. How did we learn that the cyber incident occurred? Were we notified by an outside law enforcement agency, or was the incident discovered internally? 90. Who is aware of the incident? What are their names and their organizational or legal affiliations? 91. Have we activated our incident-response plan? Is it working as planned? 92. Who is designated as the primary incident response coordinator? 93. What is the schedule of regular progress updates to the Board? Who is responsible for these updates and by what means will they be communicated? 94. Who is authorized to make decisions regarding the affected operations? 95. What impact did the cyber incident have on our ability to maintain normal business operations? 96. Has the cyber incident been contained? How are we certain this is the case? 97. What, if anything, are our strategic cyber security vendors doing to assist us in containing the cyber incident? Are they meeting their contractual obligations to our organization? 98. What systems or data have been affected and to what degree? Are we certain that we are aware of all systems and data that have been compromised? How are we certain this is the case? 99. What information has been accessed or stolen, and what is the sensitivity of that data? Is any of the data classified as regulated data? Examples: credit card data, personal health information, etc. 100. What notifications regarding this incident need to or have already been made? Examples: law enforcement, regulatory agencies, media, etc. 101. What vulnerabilities in our systems or policies were exploited that allowed the incident to occur? 102. What steps are management taking to make sure this type of cyber security incident does not happen again? 103. What can we do to mitigate any losses caused by the incident? 104. Will there be any possible or expected litigation against our organization as a result of the cyber incident? Is our legal team actively investigating/preparing for these possibilities? 105. What overall damage has been done to the reputation of our organization? Examples: consumer confidence, employee moral, media exposure, etc. What are the long-term implications of this damage and what can be done to mitigate or repair the damage?